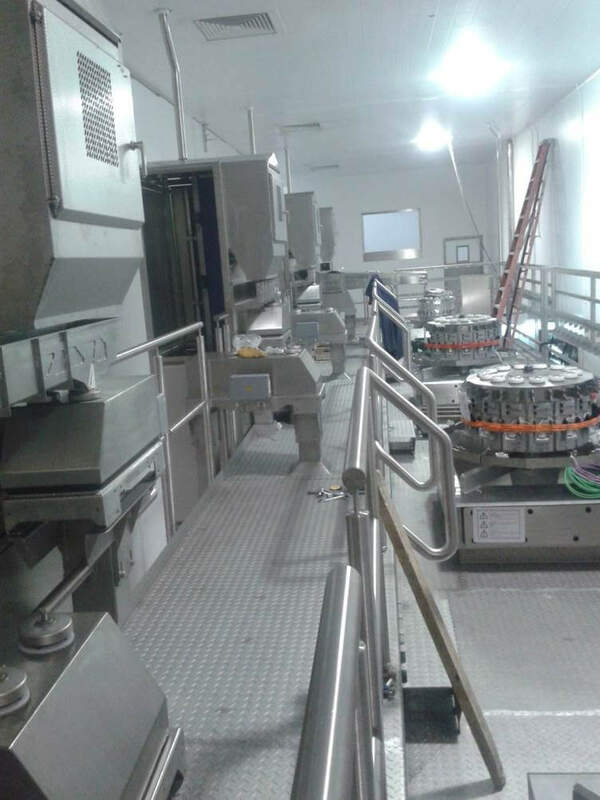 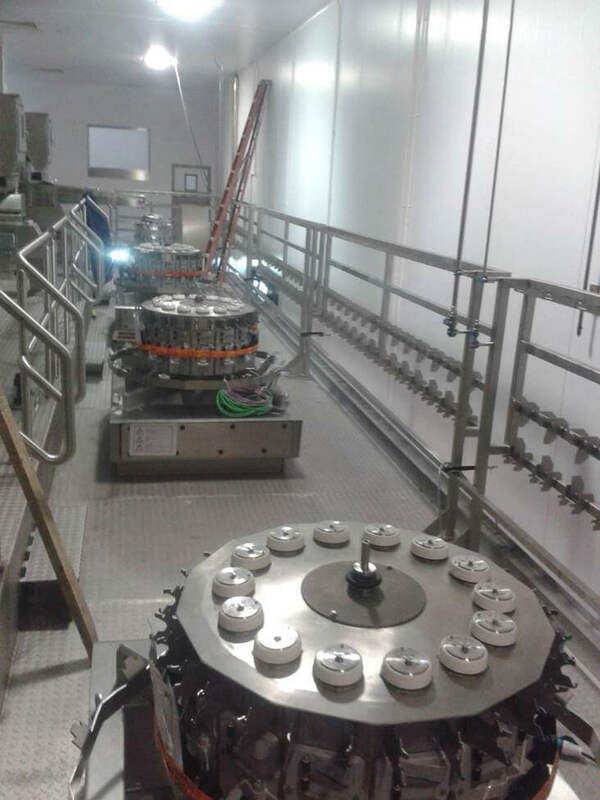 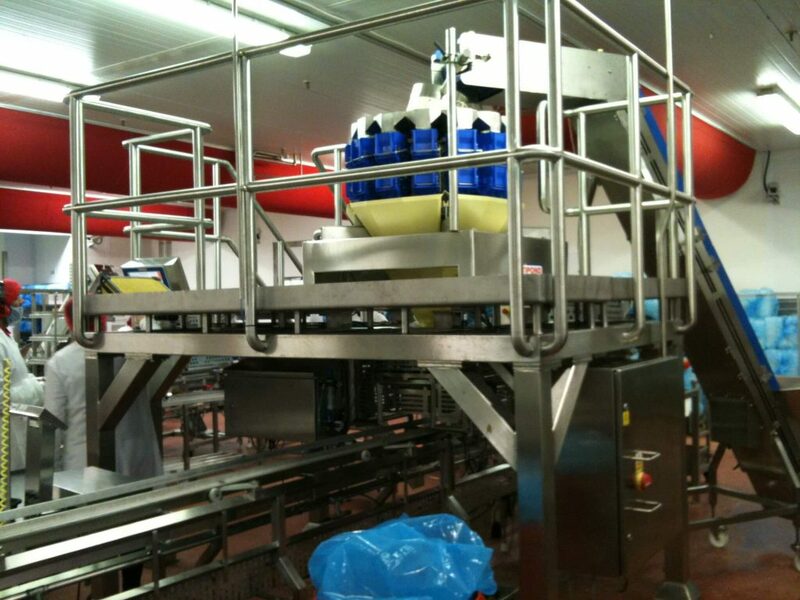 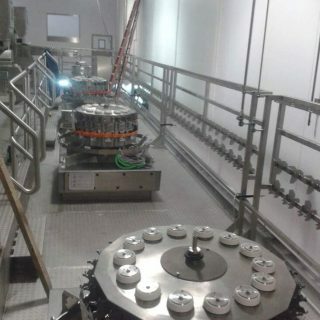 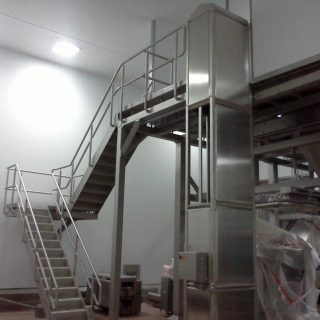 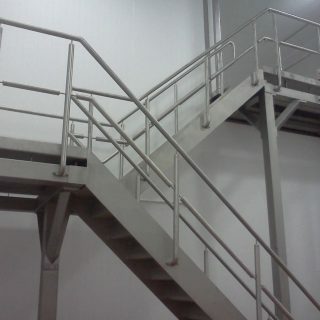 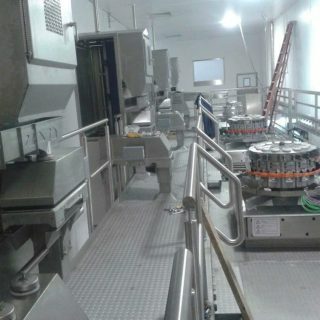 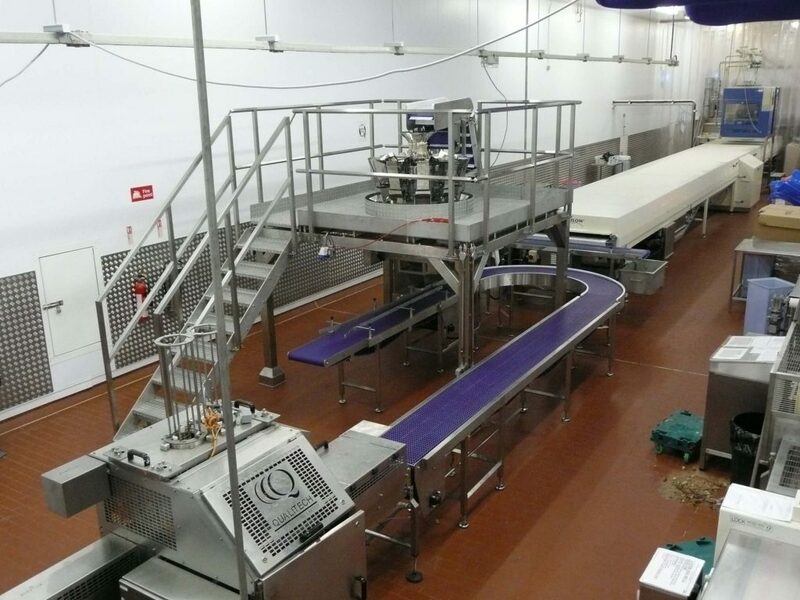 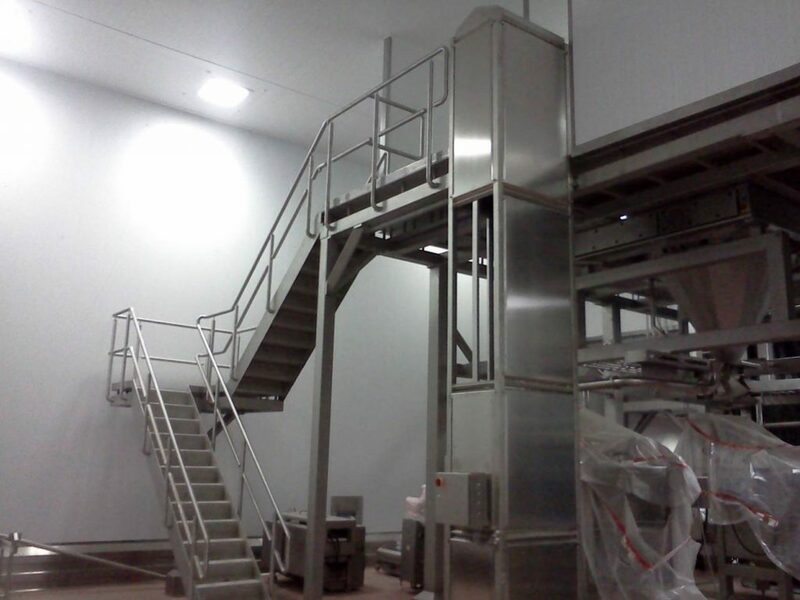 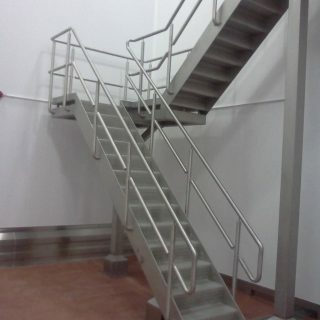 We design all nature of stainless steel platforms and access plants to complement our conveyor systems. 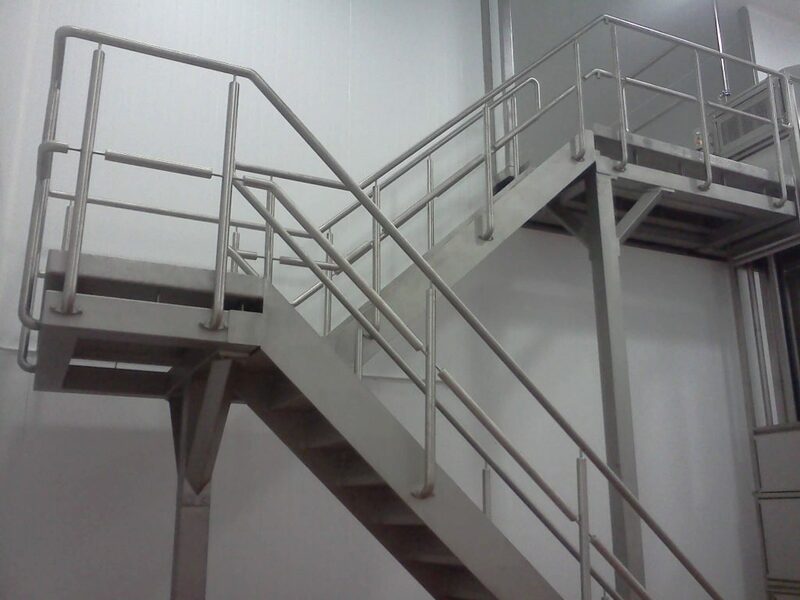 Our skilled design office has the capability to design everything from simple walkways, stairs and maintenance platforms, through to high-care mezzanine platforms for a mounting process plant. 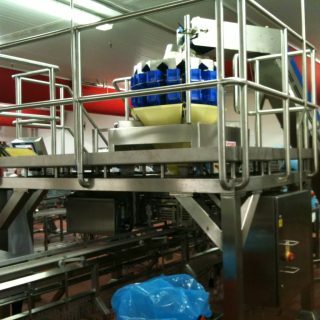 All platforms are designed and manufactured to meet EN 1090 regulation. 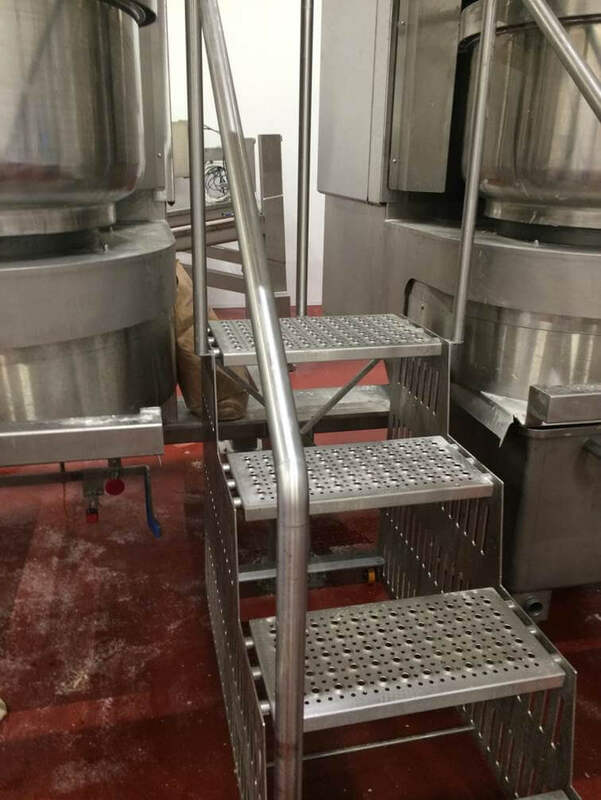 Platforms are produced in-house where we only manufacture in stainless steel, preventing any cross-contamination from other materials during the manufacturing process. 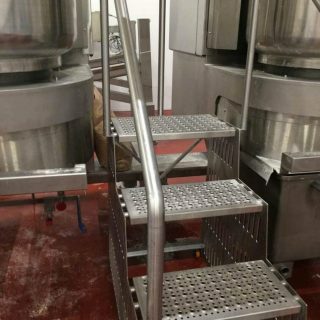 Our range of platforms are expertly designed using the latest versions of SolidWorks, and all structural calculations are completed in-line with EN 1090 regulations. 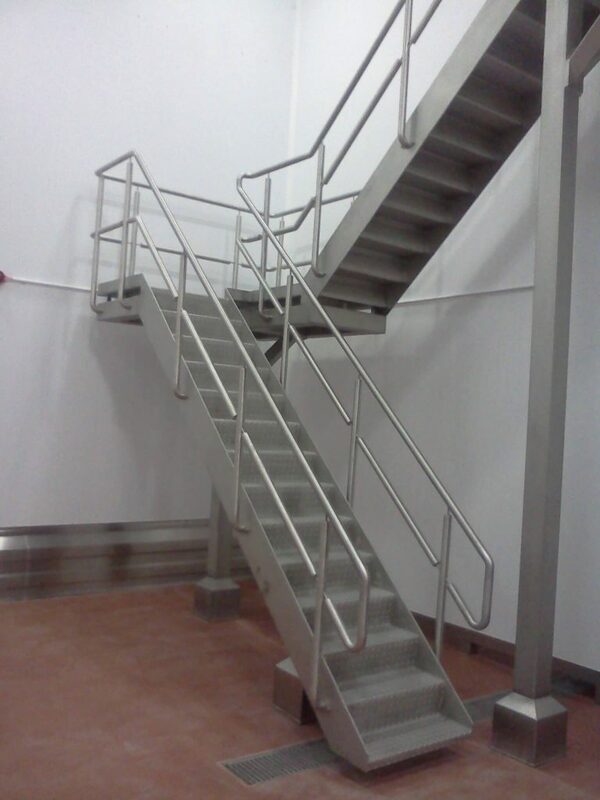 Our range of high-care platforms are fully welded and incorporate a full seam-welded chequer plate flooring. 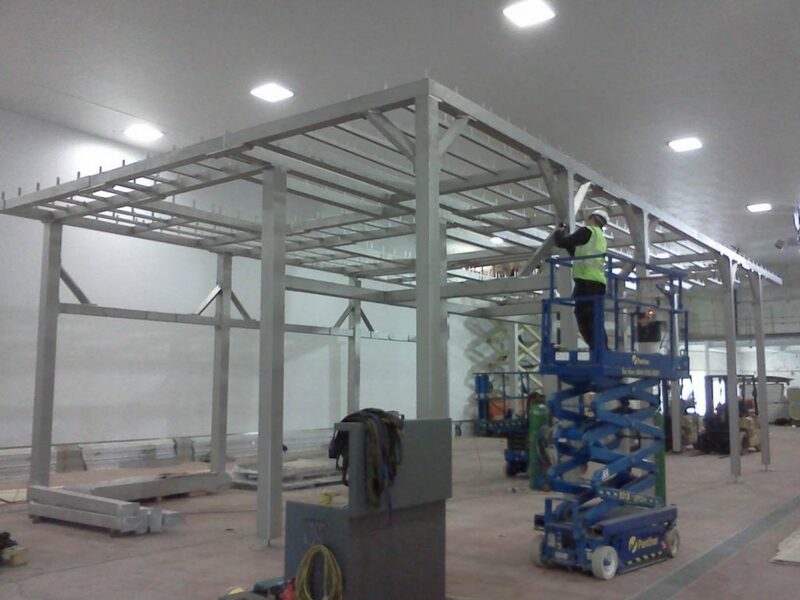 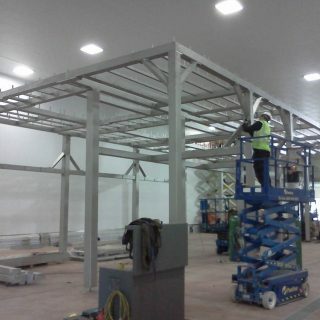 As well as walkways and maintenance platforms, we can supply steel work for mounting process plant and equipment. 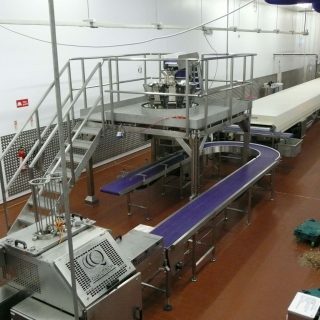 We would generally build up the platforms within our facility to allow full FAT tests to be carried out by the customer.